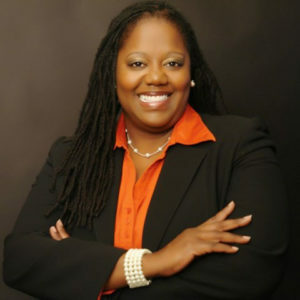 LaWana Mayfield, a Democrat, represents District 3 on Charlotte’s City Council. She was elected in 2011 and is currently serving her third term. In 2014, Mayfield was awarded the David Bohnett LGBT Leadership Fellowship and completed the Harvard Kennedy School of Government program. Mayfield serves on the National League of Cities (NLC) REAL Race, Equity and Leadership Committee, as president of the Gay, Lesbian, Bisexual and Transgender Local Officials (GLBTLO) and as board member of Smart Start of Mecklenburg County. She also serves on the Centralina Economic Development Committee and is secretary of the North Carolina Black Elected Municipal Officials.